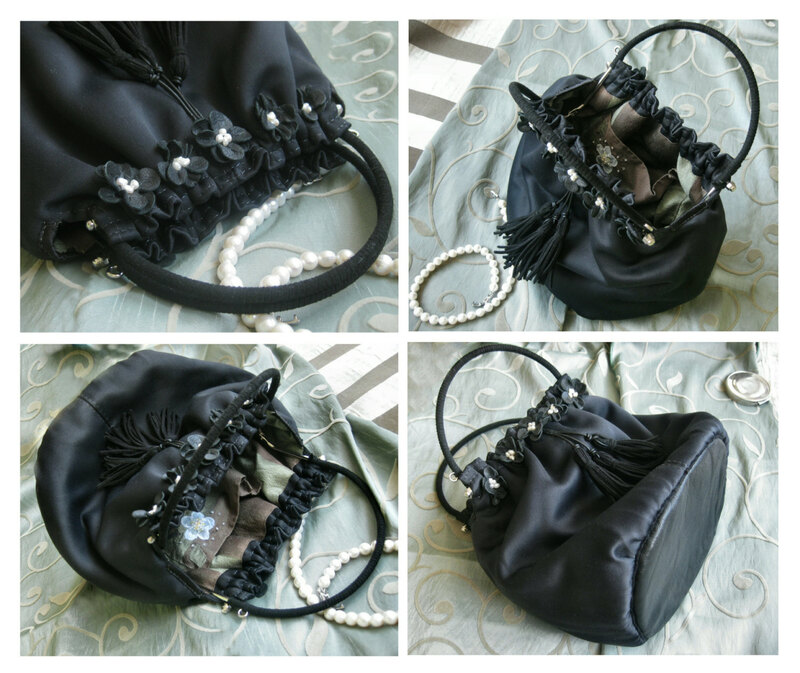 Category: All products, Purse bags. 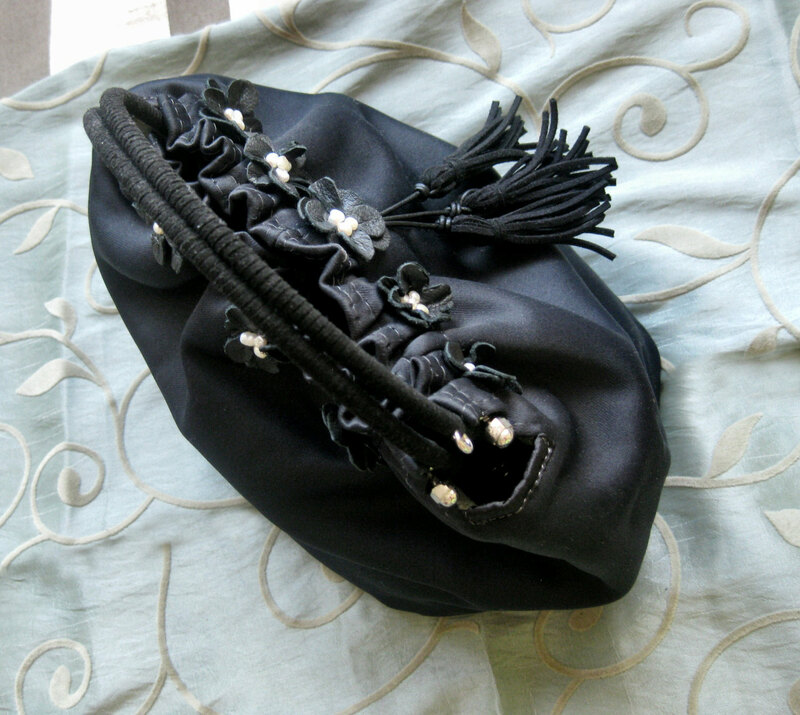 This stylish black purse in satinized fabric and reinforced leather bottom is entirely handmade and inspired from the 1940s era. 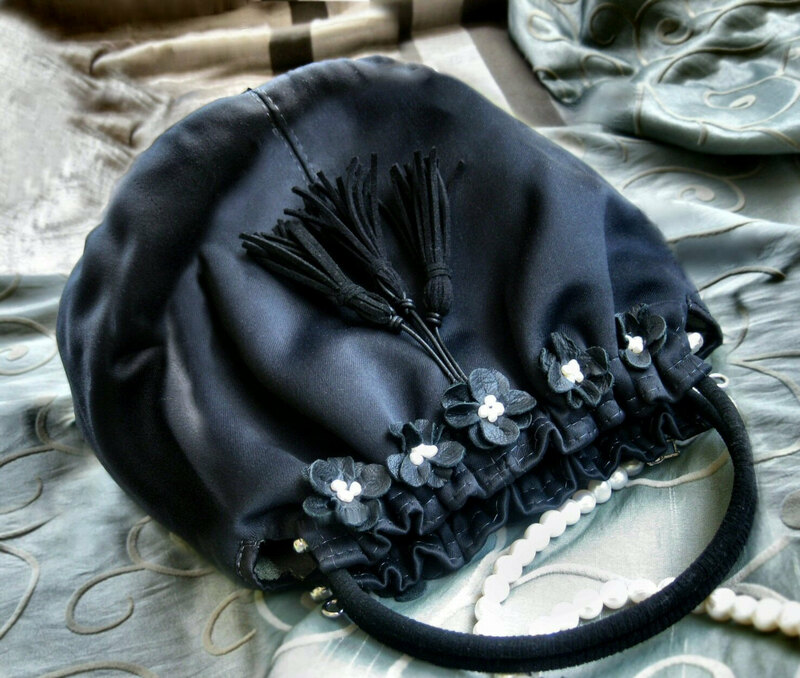 The handbag is adorned with several black leather flower accents garnished with natural freshwater pearls, 3 long leather tassels and a double metal handle clad in suede leather. 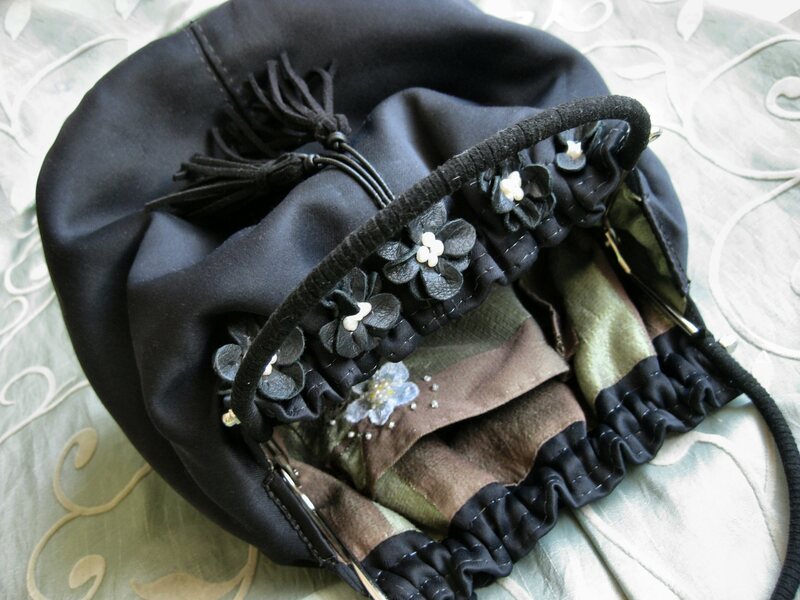 The inside of the bag is lined with thick silky fabrick in dark olive green and coffee brown and has a small slide pocket with flower embroidery. 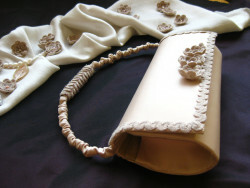 The bag bottom measures 15 cm x 18 cm. 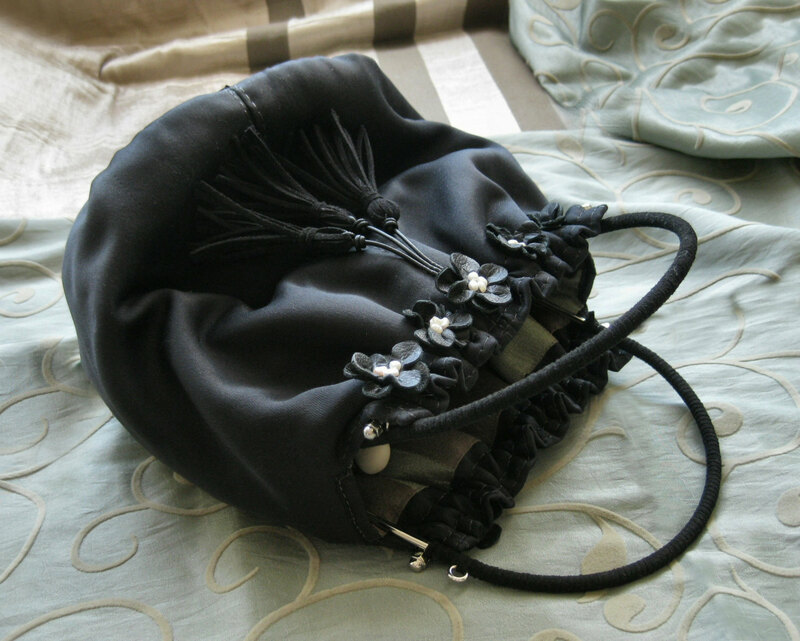 The bag (without the handles) measures 24 cm x 20 cm x 15 cm. 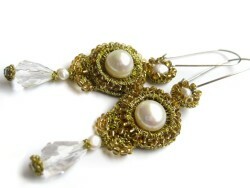 A vintage inspired accessory for your next elegant affair, whether it’s a wedding or a sophisticated night in the town! 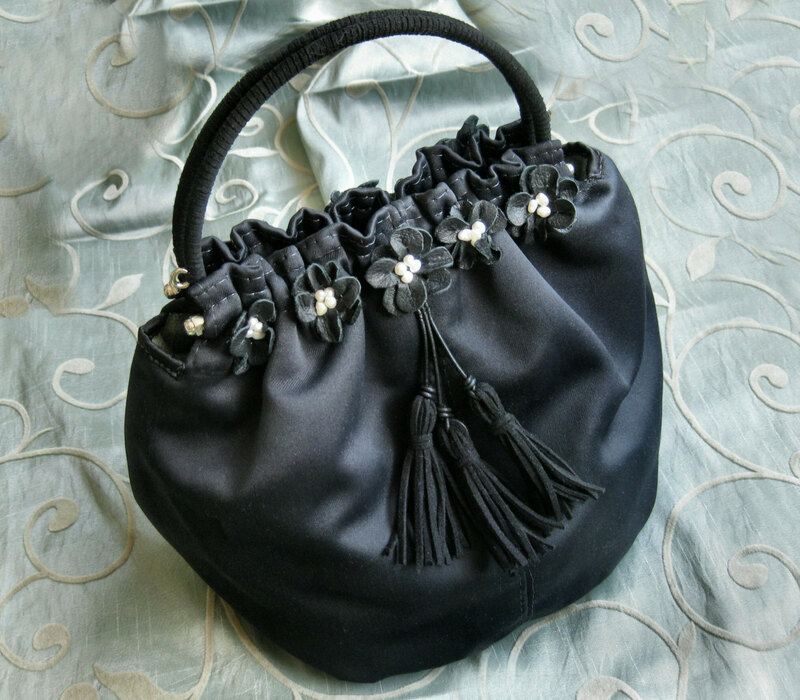 Perfect for all your little necessities. 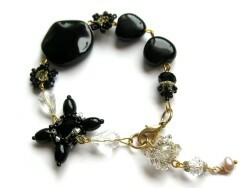 I can provide more pictures if required.